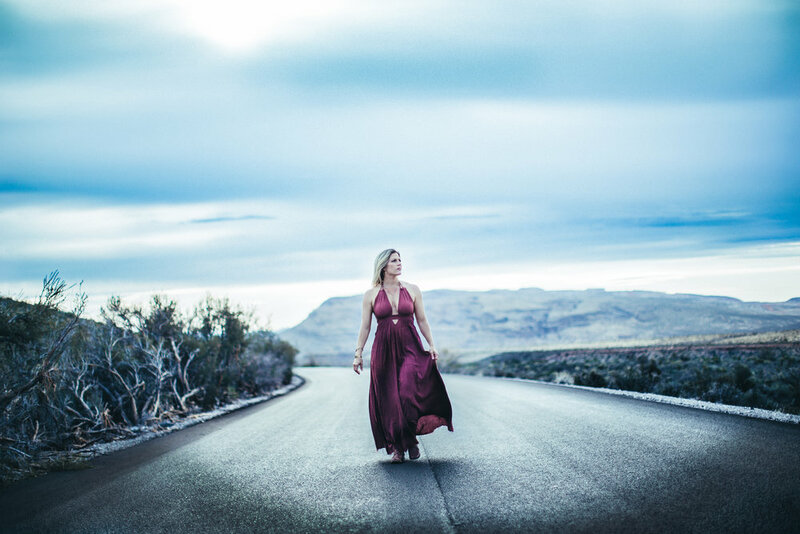 I finally have a moment to breathe after returning from my amazing trips to New Mexico and Las Vegas for the WPPI Conference a few weeks ago...and honestly, it feels good, but I'm feeling even greater after all that I've accomplished these past few weeks! She was motivated & awake enough to pick me up at 5:30 am and drive us over to Red Rock Canyon to catch the sunrising in all it's beauty, while of course, capturing her in all of her beauty. It was chilly. It was windy. Did I mention it was chilly? And she was far from dressed for the weather...but wow, did she brave the elements and make it look easy! I cannot thank her enough for her time, her story telling, her beauty, and of course, her positive "can do" attitude. ©Amanda Emmes 2019. All rights reserved. Copyright Notice.